I am of the camp that worships lumpy mashed potatoes. While I have plenty of issues with the texture of foods I am eating, I love the contrast of a bit of firm potato that is cozy with some smooth, velvety mashed potato. I think mashed potatoes is such a great food since it is a great side and a great starter to other reuse recipes, like potato pancakes or soup. Plus potatoes are so affordable that they can help keep you making great dinners and keeping budget. 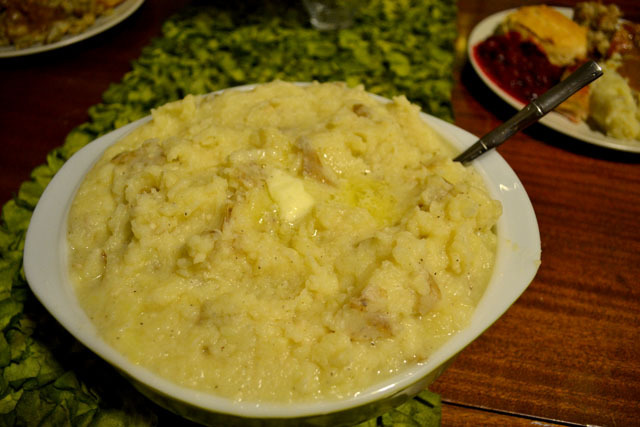 With the new year upon us, I thought I would share with you a great mashed potato recipe that is a lot healthier than a lot others out there. Now is the time for everyone to resolve to loose weight or save more so a mashed potato recipe is a great way to start the new year. We are trying to do both so I anticipate making some fun recipes with potatoes like this in the upcoming year. These mashed potatoes use substitutes to make it healthier while still having great flavor. We pretty much only have skim milk in the house so I use that instead of a full fat milk. I do use butter but not too much considering the size of the batch of mashers. 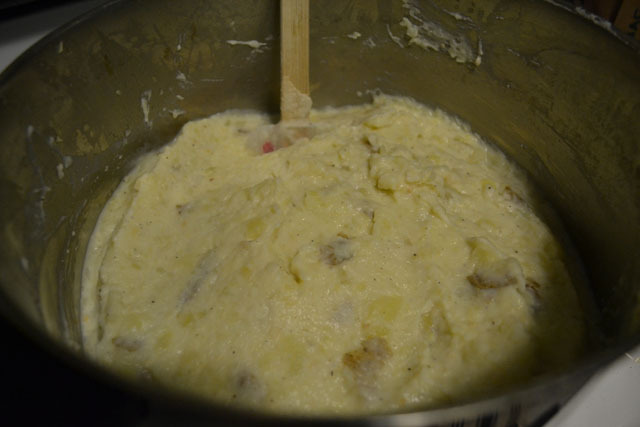 The thing that really makes these mashed potatoes thick an flavorful is low fat sour cream. 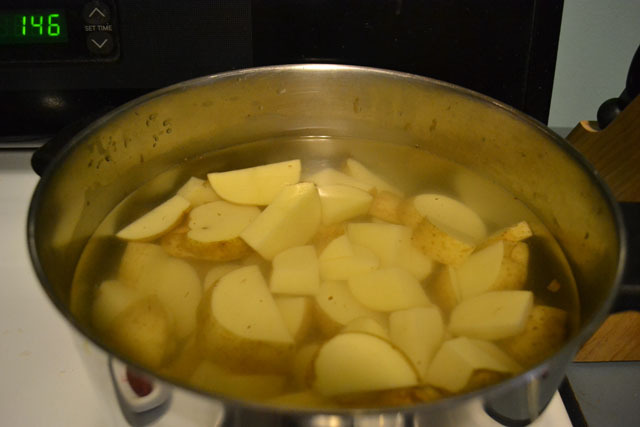 Add all the potatoes and 1 tablespoon salt to a large pot of boiling water. Boil until fork tender, start checking after 15 minutes. 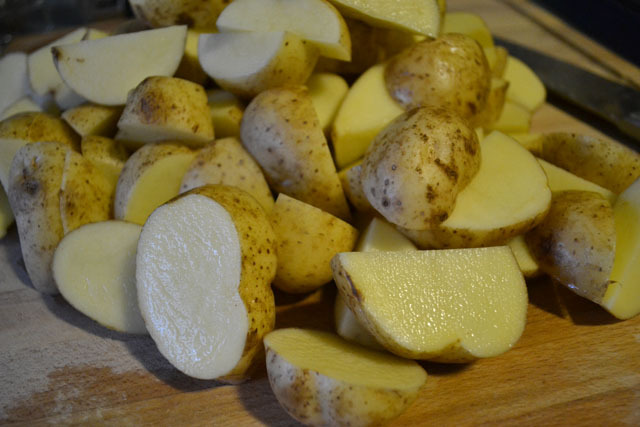 Drain tender potatoes, leaving them in the colander while you do the next step. 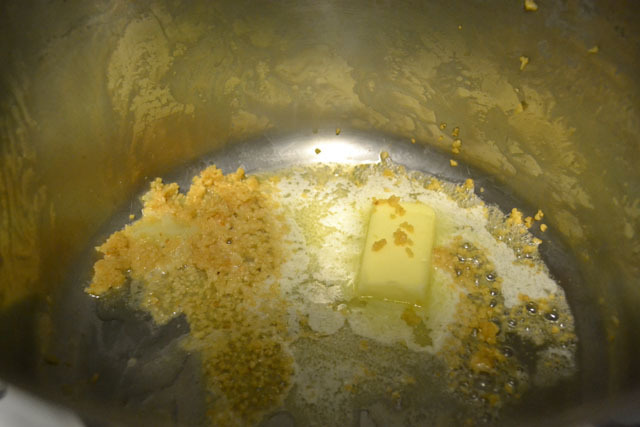 Put the 6 tablespoons of butter and garlic back to the pot on low. Cook until butter is melted and garlic is golden brown. 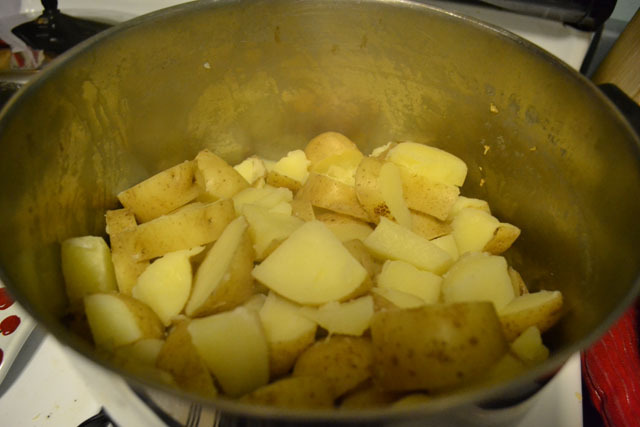 Add the potatoes back to the pot and cook for 2 minutes while stirring . 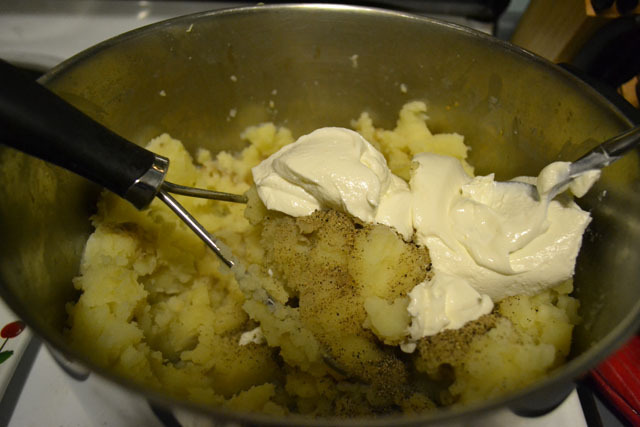 Add the milk, sour cream, salt, and pepper to the potatoes and combine into the potatoes while mashing.